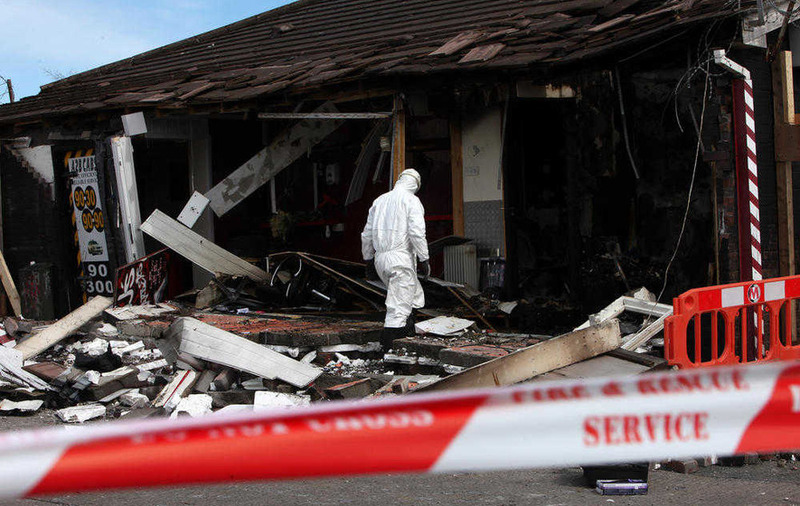 A WEST Belfast business owner says he has "no idea" why his premises was targeted by arsonists and has urged those responsible to state why they attacked his property. Stephen Comerford has owned a taxi depot and barbers in the area for over 18-years, he currently employs 34 members of staff. The fire started in the premises at Bingnian Drive off the Glen Road at about 4:30am on Sunday and local people reported an explosion shortly afterwards. The shop units may now have to be demolished and rebuilt as the blaze caused structural damage to the property. Petrol was poured into the premises through a hose and then set alight, petrol cannisters left at the scene are then believed to have exploded causing serious damage to the building. Mr Comerford said while he's waiting on structural and police reports initial investigations would indicate the entire building will need to be demolished and rebuilt. In 2012 a similar attack destroyed a nearby convenience store, On that occasion CCTV captured men dressed in boiler suits pouring petrol into the building. Speaking to the Irish News Mr Comerford said: "I've absolutely no idea why I've been targeted, I'd no warnings or threats, I know the Spar was targeted a few years ago but no idea if there's any link. "I'd like to know why they did it, I'd like whoever did it to state why. "I've lived and worked in this community all my life, we do quite a bit of sponsorship locally and are a part of this community. "We've 34 people employed and all the responsibility that comes with that, so there is a pressure there to get things up and running again. "We've managed to get the taxi depot back in business from a different location and will just have to look at getting different premises for the barbers until I can rebuild". Mr Comerford says he's been overwhelmed by the support from the local community. "It's been 18-years of my life has went into building up the businesses, my heart and soul have went into it. "The taxi depot alone is a seven day a week 24-hour a day commitment, so it's been heartening that so many people have contacted me to send support". Sinn Féin MLA Rosie McCorley said it was a "disgraceful attack". 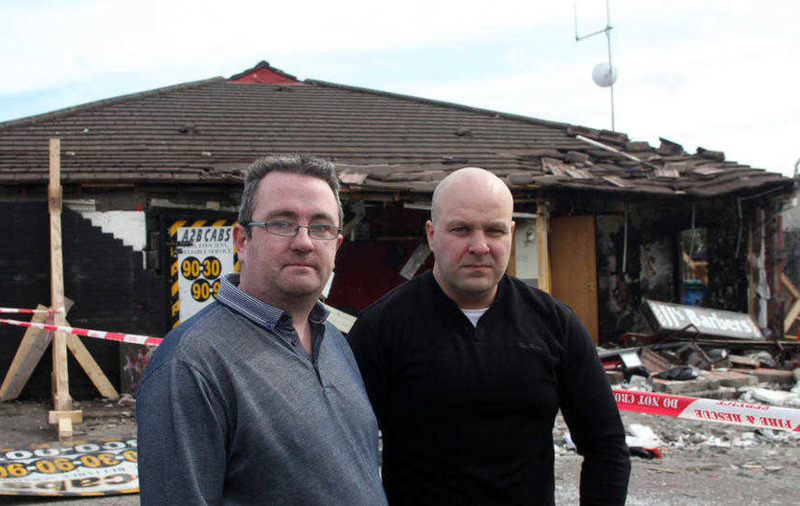 "The man who has built up his local businesses by servicing the community has seen two businesses, a barber shop and a taxi office destroyed. "I will be working with him in order to get these businesses alternative premises so we can minimise any potential job losses. "I would appeal to anyone with any information about these attacks to bring it forward to the PSNI immediately as the people who carried them out have nothing to offer our society but misery", she added.